Who you gonna call – Ghostbusters! One of our valued employees - Adam - and eleven of his friends regularly raise funds for local charities by dressing up and selling ‘Ghostbuster’ memorabilia. DHC supported his group by doubling any money raised at a charity day in Uckfield. Here are some of the Duradiamond Healthcare team getting into the spirit of the ‘movies’ theme! Adam and the Ghostbuster gang were also at CarFest South, which is the huge event organised by BBC’s Chris Evans in aid of Children in Need. 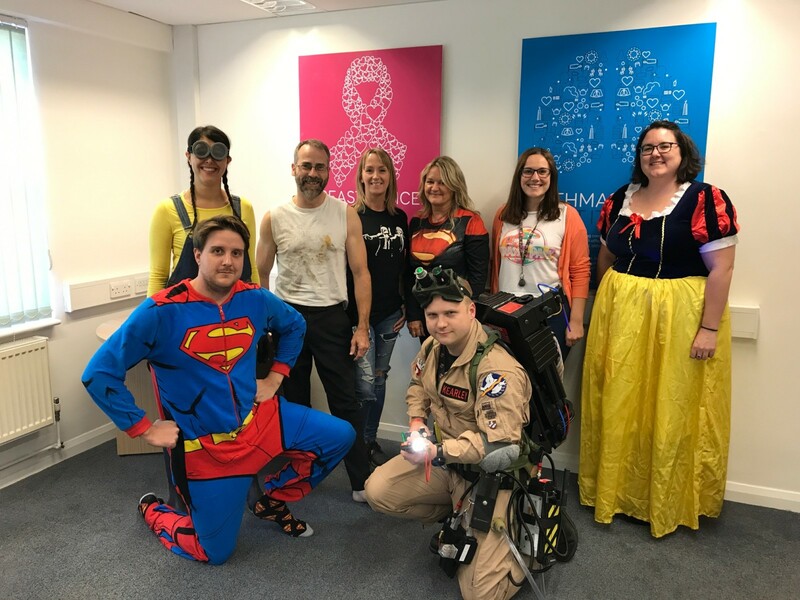 The team managed to raise £350 for Children in Need and with the Duradiamond Healthcare, nearly £200 for The Children with Cancer Fund in one day. More information about the Sussex Ghostbusters can be found on their Facebook page.